If your child is allergic to eggs, or you just don’t want to color eggs, it can be hard to find alternatives. 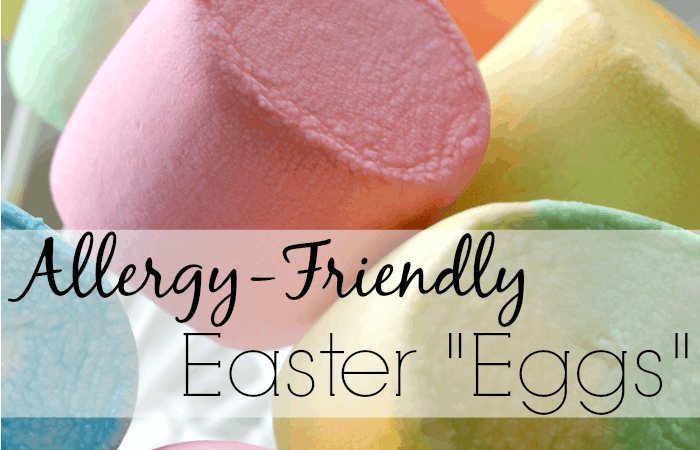 But, if you’ve got a kiddo that is allergic to eggs, imagine how excited they will be to join in the Easter fun. 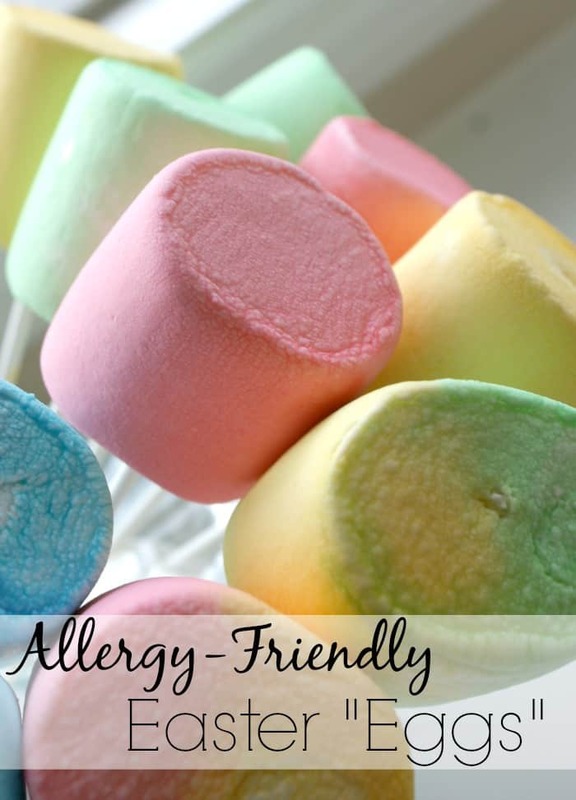 I can’t wait to do this Dyed Marshmallow project with my egg-free grandkids. 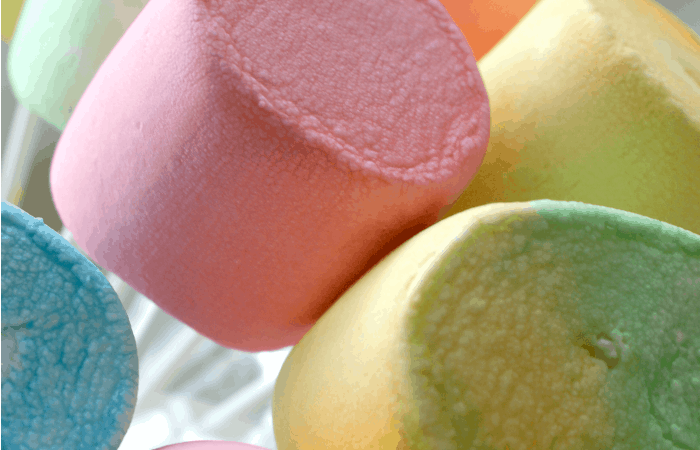 JUMBO marshmallows will color almost exactly like boiled eggs. To cut down on the mess, we put them on sticks before coloring, but you can dip them in food coloring either with a spoon, with your fingers, or with a fork. Just mix a half cup water with 10 to 20 drops food coloring, and dip away! After the marshmallows have been dipped, set them on a paper towel for about 15 minutes, then turn each one over and move them to a dry paper towel for another 15 minutes. (Drying may take longer, if the marshmallows were left in the colored water longer than we did.) Putting them on sticks and air-drying seemed to work well, too. If you’d like to hide the marshmallows (instead of eggs), just pop each colored and dried marshmallow into a zipper-style sandwich bag. Although my grandson is not allergic to eggs, he had a great time helping to dye these marshmallows!